Argonaut Technologies Trident Automated Library Synthesizer Liquid Handler . New Life Scientific, Inc.
Includes 90-Day Warranty. Powers On. This Argonaut Technologies Trident Automated Library Synthesizer powers on and is in good cosmetic condition with minor wear and age. 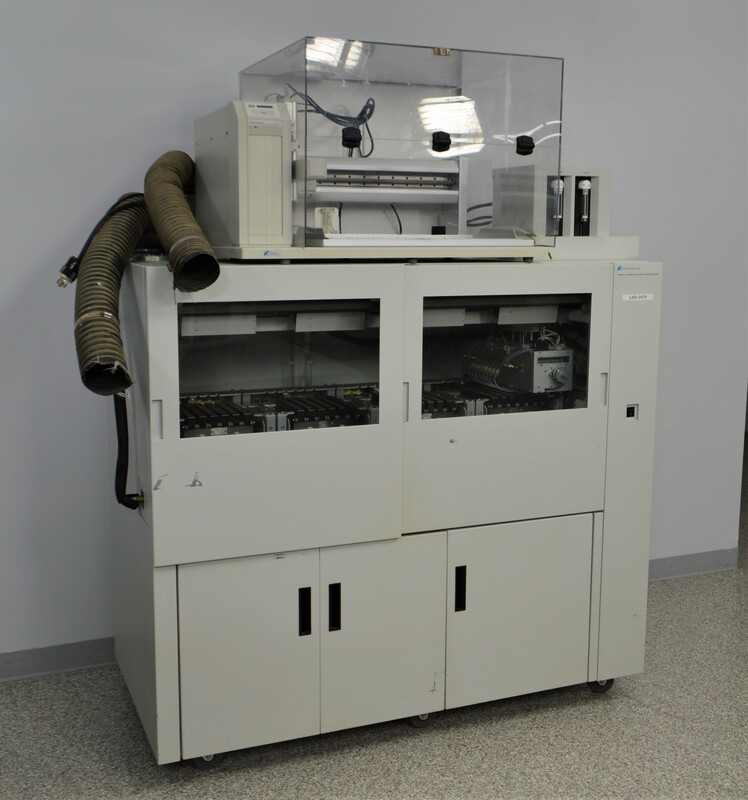 System is capable of synthesizing 192 compounds per run and comes with liquid handler. This instrument is warranted to be functional and is protected by our 90-day warranty. Our in-house technician inspected this Argonaut Technologies Trident Automated Library Synthesizer, confirming that it powers on without issue.